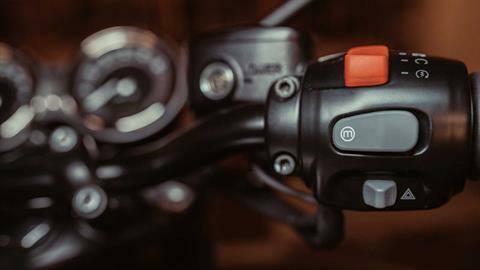 The one-off Matt Storm Grey paint scheme with stripe, the unique Ace Cafe design logo on its side panels and mudguard, and the ‘Head Down – Hold On’ detailing on its tank all complement the already-spectacular silhouette of the motorcycle to deliver this celebration of the original café racers. 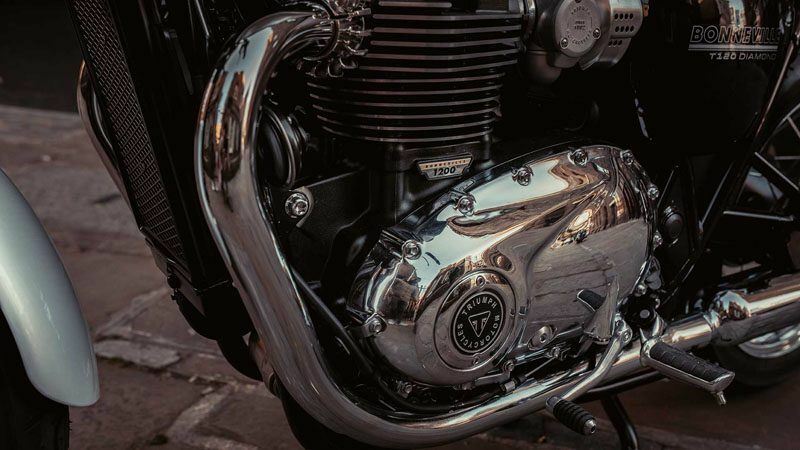 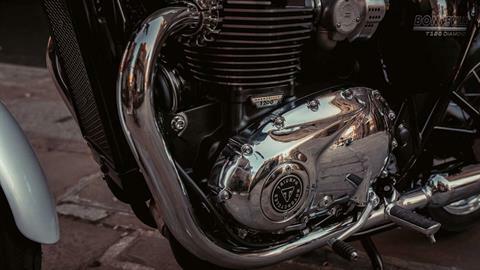 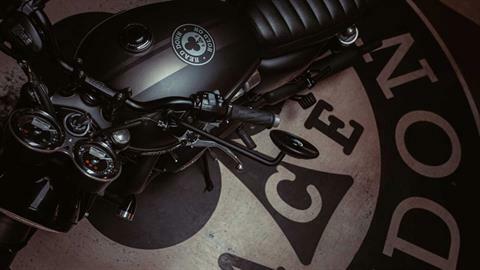 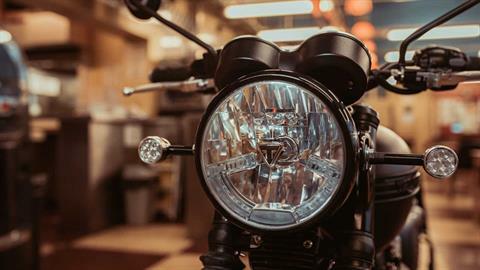 Delivered with a numbered certificate signed by Triumph CEO Nick Bloor and Ace Cafe managing director Mark Wilsmore, the Bonneville T120 Ace is a real collectors’ item. 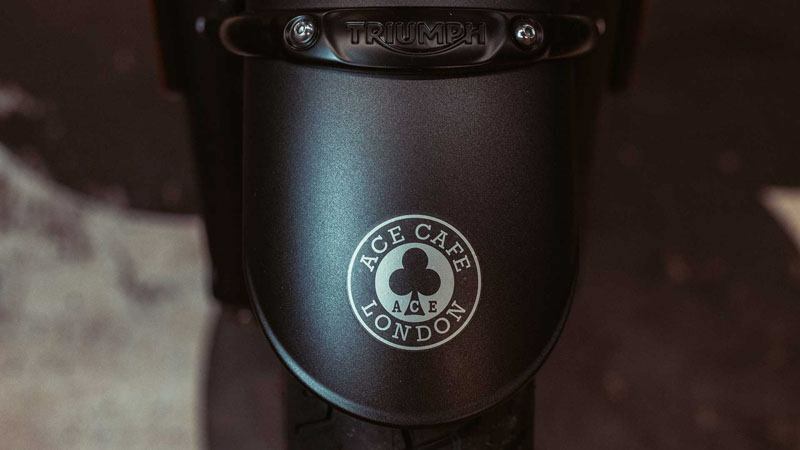 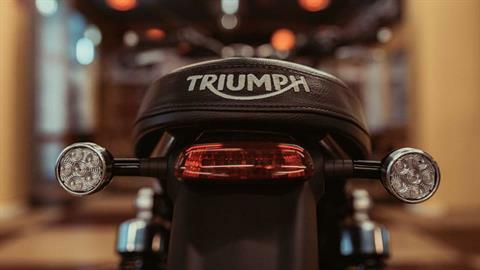 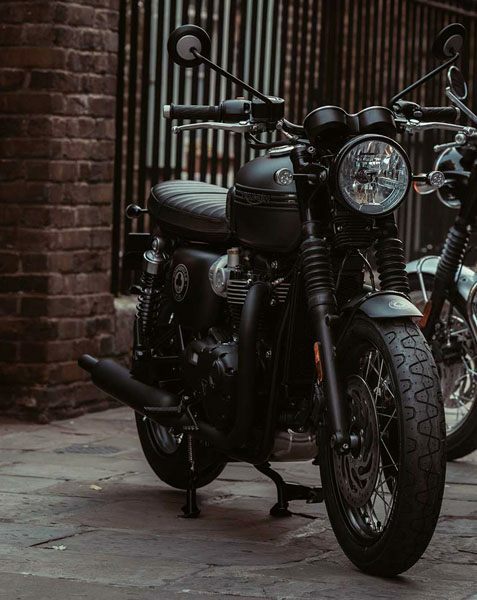 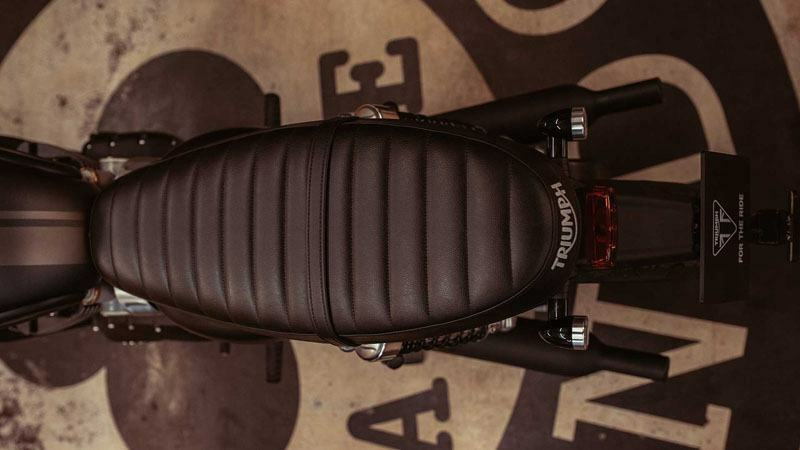 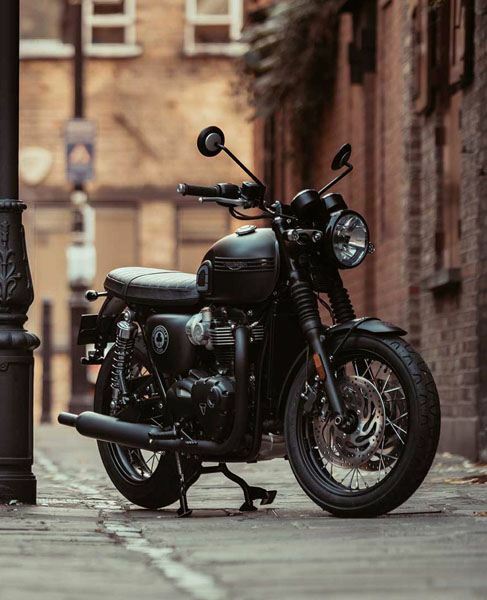 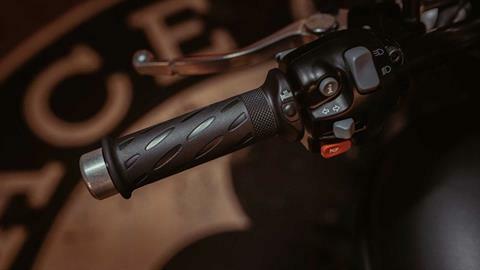 The T120 Ace also showcases a black bench seat, exclusive Ace logo on its front mudguard and side panel and exclusive ‘Head Down – Hold On’ tank detailing.